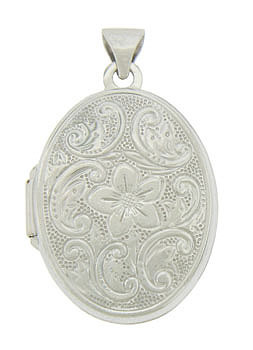 Intricate floral engraving and impressed milgrain swirl around the surface of this elegant 14K white gold estate locket. 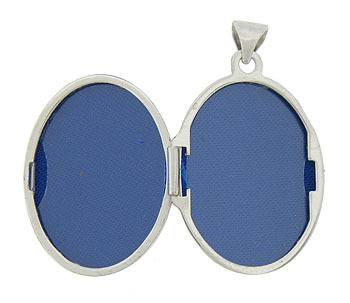 The interior of the locket is fitted with a rich blue linen and photo covers. 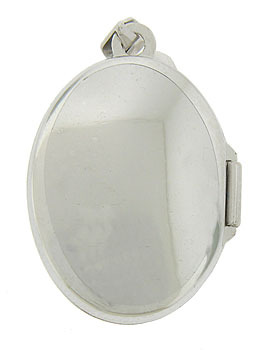 The antique style locket measures 3/4" long, 1/2" wide.